Abbott (2001) reported that bilbies were once common in the south-west of Western Australia, with three records near Bridgetown. In the south-west of WA they lived in open forest and woodland of the northern and eastern Jarrah forests. Abbott (2001) suggested that the fox was the primary cause of its demise in this area, although vegetation clearing, drought, disease, trapping and baiting for rabbits may have contributed to its decline. Obviously bilbies or dalgytes, as they were commonly known, occupied a diverse range of habitat types in the south-west and what we now know as the wheatbelt. Southgate (1990) reported bilbies in the southern part of its Australian range were found on relatively sparse, inhospitable habitats on ridges and rises, whereas, in the north of its range it occupied a broader range of habitats including ridges, plains and alluvial areas, and often depended on fire to clear the understorey. Soil texture ranged from course sand to light medium clay and the vegetation ranged from low woodland with an Acacia spp. rich understorey through to a variety of shrubs and woodlands over hummock grassland, to tussock/forb grasslands. Its distribution appears limited by access to suitable burrowing habitat (Southgate 1990, Southgate et al. 2007) and areas of high plant and food production. 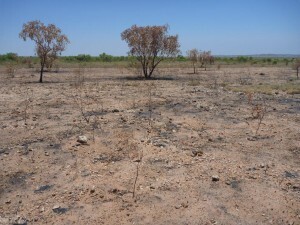 Thompson and Thompson (2008) reported active bilby burrows in a burnt area in the Pilbara that had previously been vegetated with spinifex to about 400mm on red-sandy soils. 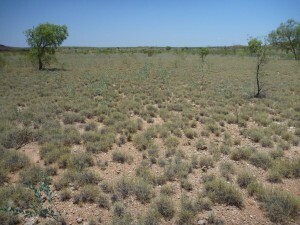 Elsewhere in the Pilbara, we have found bilbies and bilby burrows on red-sandy soils with a reasonable cover of spinifex, or along sparsely treed drainage lines. 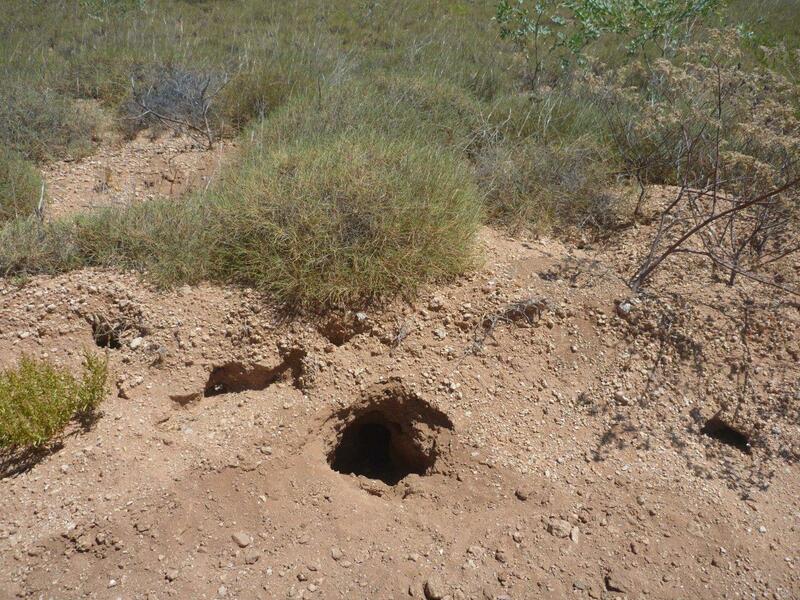 Recently we found, what we thought were active bilby burrows in an area with about 25-30% cover of low hard spinifex on a light red rocky-sandy substrate. 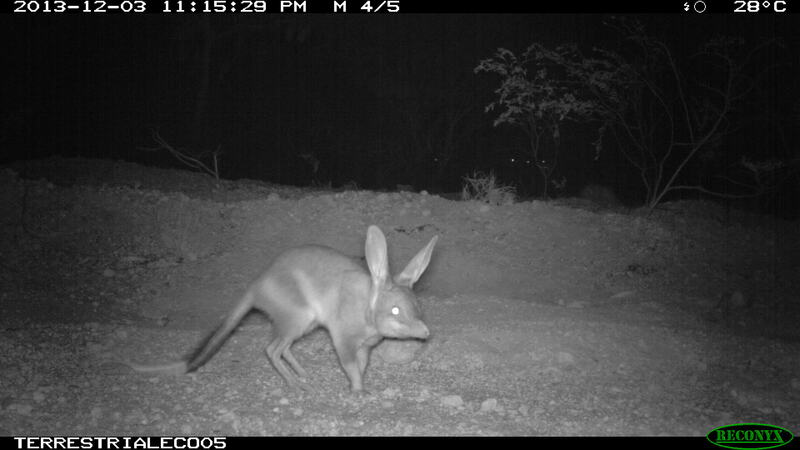 We were initially very sceptical that they were bilby burrows, as it was difficult to dig into the surface because of the high proportion of rock and gravel in the substrate and the sparse low vegetation cover was not expected habitat for bilbies in the Pilbara. 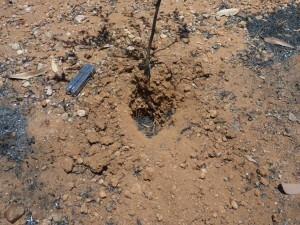 There were only a few shallow diggings and we could find no scats. We thought the lack of vegetation cover would have increased the exposure of these bilbies to predation by carnivores such as dogs. 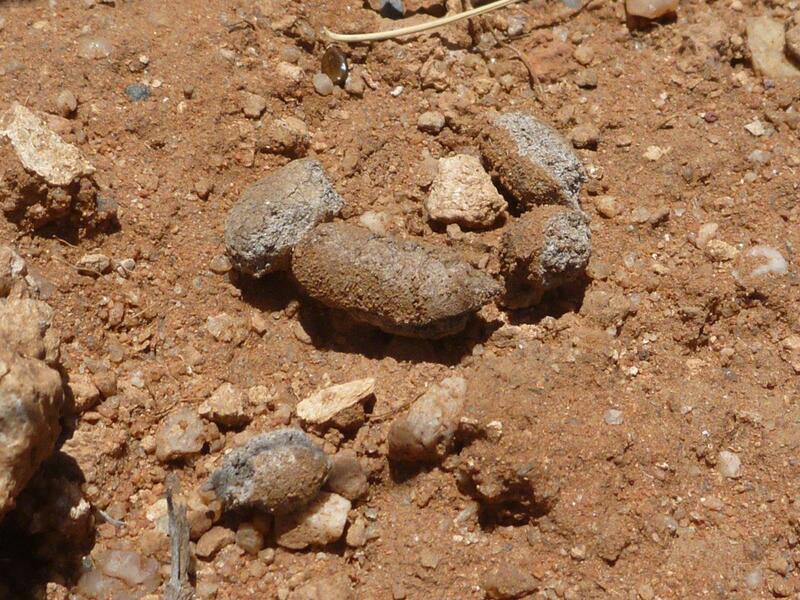 On the second visit, there were fresh diggings, a few of the characteristic bilby scats (Plate 3), and evidence of recent movement in and out of a couple of burrows (Plate 4) but the area had been burnt between the first and second visit (comparison of Plates 1 and 5). 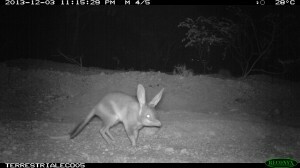 So to be positive it was a bilby and still in the area, motion sensitive cameras were set to record movement near burrow entrances. 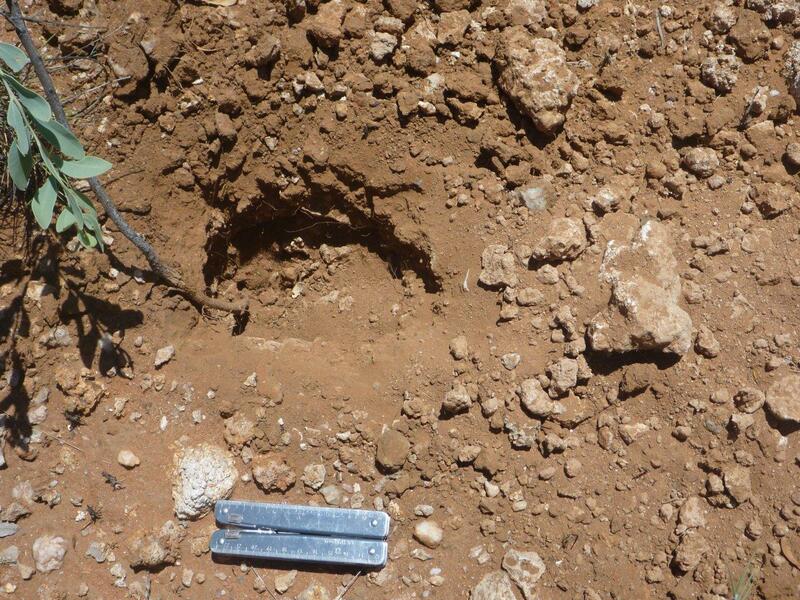 An image of a large, probably male bilby (Plate 7) was recorded to enable us to be absolutely sure that we were reporting on the presence of a bilby and were not confusing the burrows and diggings with those of goannas (see ENV Australia Pty Ltd 2012). Have you ever recorded fauna in habitats that are atypical or found fauna in areas that they are not expected? Abbott, I. 2001. The Bilby Macrotis lagotis (Marsupialia: Peramelidae) in south-western Australia: original range limits, subsequent decline, and presumed regional extinction. Records of the Western Australian Museum 20:271-305. ENV Australia Pty Ltd. 2012. 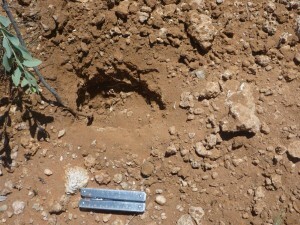 Assessment of potential fauna diggings, Christmas Creek. Perth. Upublished report for Fortescue Metals Group. Southgate, R., R. Paltridge, P. Masters, and S. Carthew. 2007. 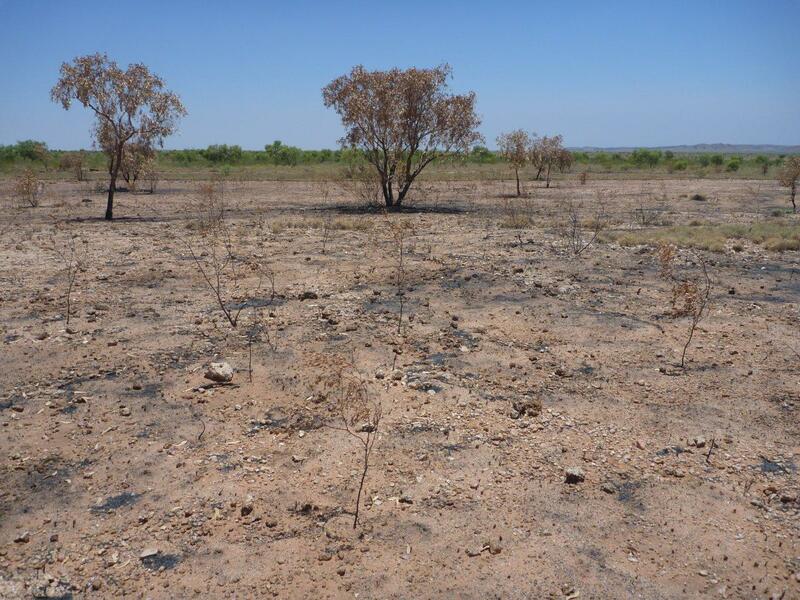 Bilby distribution and fire: a test of alternative models of habitat suitability in the Tanami Desert, Australia. Ecography 30:759-776. Southgate, R. I. 1990. Habitats and diet of the greater bilby Macrotis lagotis Reid (Marsupialia: Peramelidae). Pages 303-309 in J. H. Seebeck, P. R. Brown, R. L. Wallis, and C. M. Kemper, editors. Bandicoots and Bilbies. Surrey Beatty & Sons, Chipping Norton. Thompson, G. G. and S. A. Thompson. 2008. Greater Bilby (Macrotis lagotis) burrows, diggings and scats in the Pilbara. Journal of the Royal Society of Western Australia 91:21-25.